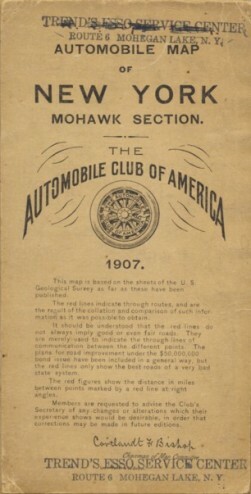 1898 is acknowledged as the first automobile road map. Road maps from the U.S. and the U.K. focus on the cyclist. Associations for motorists’ support begin. Street and road names are localized, without much concern for order except in large cities. Instead of folding road maps, many tourists used cumbersome guidebooks, a latter example seen below. 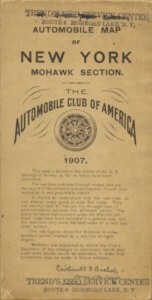 The early teens saw the beginning of the give-away road map. 1918 saw the beginning of the highway numbering system as we know it, pioneered by the State of Wisconsin. The AASHO/ Federal system is founded on the Wisconsin model, but doesn’t reach fruition until 1926. Between these years, in 1923 the Association of State Highway Departments took on the chore of standardizing the road sign. 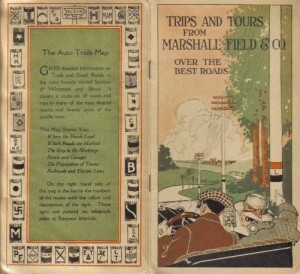 Gas station maps often featured views of company service stations, while state official road map covers were basic at best. 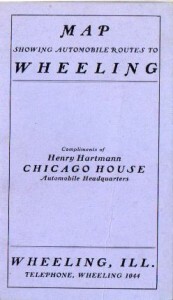 Guidebooks tapered off: tire companies also distributed road maps. Competition among major oil companies intensified during the Great Depression, resulting in eye-catching designs. Art Deco covers appear. 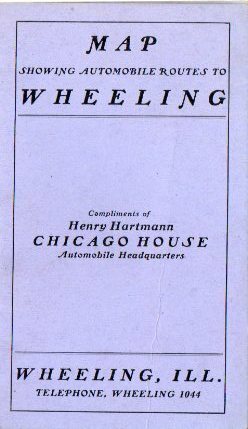 The first attractive state map covers for attracting tourists are printed, and World’s Fair maps for the Century of Progress in Chicago (1933-4) and New York (1939-40) also attract U.S. tourists. 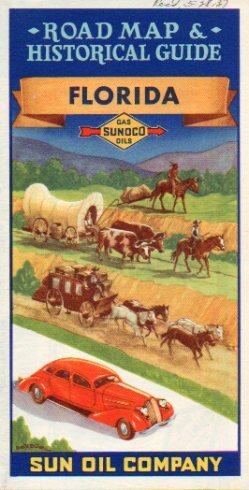 Oil company maps become scarce, especially among smaller marketers. In some years, states decline to publish new maps. War maps are produced for Pure, Sunoco, and Phillips, among the major companies. In 1947, Texaco reminded customers that «Paper is Precious!» by combining several states onto one sheet. In contrast, Standard Oil Co of Nebraska continued to offer a map of just its home state. 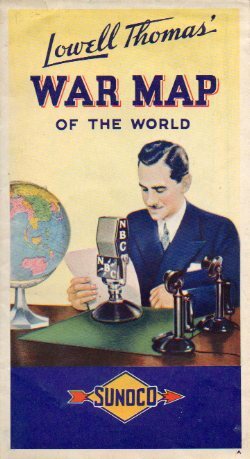 Many civilians followed the progress of WWII on maps promoting Company sponsored news reports. American travel hit its stride. 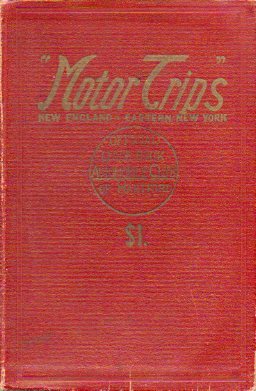 Not only oil companies and state highway commissions issue maps: motel associations, highway business consortia, and car rental companies joined the car culture club. 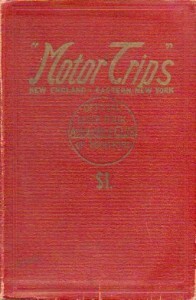 Frequent map editions became essential with the building of the Interstate highway system. State maps become more colorful.